We think you’ll find our New City Chiropractic office is a little different from other health care providers. It’s not just our commitment to providing first-class health care through natural chiropractic treatments — though that’s part of it. And it’s not just our great staff that provides a fantastic experience for our patients — though that’s part of it, too. It’s our whole philosophy in our New City Chiropractor office. The chiropractors in our Rockland County office in New City are passionate about wellness on a structural, nutritional, even emotional level! That’s why, once you’re out of pain — whether it’s back pain, neck pain, headaches, extremity pain, or other problems — we’ll teach you how to stay that way while maximizing your TOTAL HEALTH… for good! But that doesn’t mean we’ll keep you coming back every week for years on end, like some chiropractors may. We’ll get to the cause of your problem and correct it naturally and thoroughly so you can get on with your life! We’ve been treating patients as young as 3 months on up to age 92 in our Rockland County chiropractor office for over 30 years. We invite you to come in to our New City Chiropractic office and see for yourself why we’re different. Dr. Michael Cocilovo is a chiropractor in New City, NY. Dr. Mike, as he is called, is proud to be practicing chiropractic in Rockland County for over 30 years. He earned his undergraduate degree in Biology from Seton Hall University and graduated with Honors from New York Chiropractic College in 1986. A Certified Sports Team Physician, Dr. Mike is also one of a select group of chiropractors who is certified to perform Manipulation under Anesthesia (MUA) . He is a long-time member of the New York State Chiropractic Association and is Past President of the Rockland County Chapter of the American Chiropractic Association. Dr. Mike has two beautiful daughters, Carolynn and Katie. He is an avid sports fan and enjoys outdoor activities. Dr. Mike chose chiropractic because of its holistic approach to patient wellness as well as its beneficial impact on patients with sports injuries. Dr. Gilbert Rodriguez is a chiropractor in New City, NY. 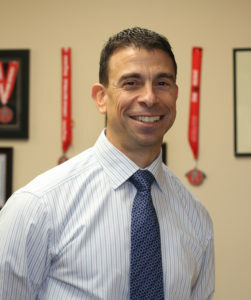 Dr. Gil is a graduate of Skidmore College where he was an active participant of the Sports Medicine Department. From the beginning of his undergraduate career, he was involved with the rehabilitation of student athletes from serious injuries, as well as training and maintaining the athletes on the field. 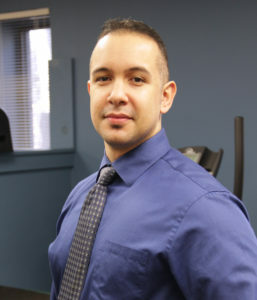 He earned his Bachelor’s degree in Health and Exercise Sciences and went on to graduate from the New York Chiropractic College with an advanced Certification in Sports Science and Human Performance. Dr. Gil is board certified in Chiropractic and Physiotherapy by the National Board of Chiropractic Examiners. He is a current member of the American Chiropractic Association, as well as of the New York State Chiropractic Association. Dr. Gil uses the latest research and treatment protocols to provide each patient with the best possible chiropractic care in New City chiropractor Rockland County office. We are proud of our staff, and you will know, when you are a patient in our New City Chiropractor office, why our staff is the very best in Rockland County. Darlene Adams is our dynamic Office Manager at New City Chiropractic Center. 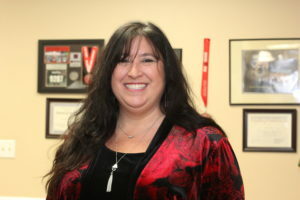 She brings more than 20 years of administrative and management experience to her position from both the medical and legal fields. She plays an integral part in billing and collections, and her dedication and love of her job are evident to everyone around her. In addition, Darlene is most proud of her role as wife and mom to their two beautiful children. And you can read what some of our patients have to say here and read more about why people search for a chiropractor near them here. If you would like to learn more about an alternative way to pay for your chiropractic treatments, click here. New patients can click schedule a consultation or click here.